#Google Pixel’s (#Pixel) 2770 mAh battery can last a day or two as long as the phone is used normally and is running apps that don’t use too much RAM, CPU and have lower resolutions. But batteries get drained faster than you think so what would you do if your phone refused to charge when you plugged it in? Not charging issues are among the most commonly reported problems with smartphones regardless whether the device is brand new or not, mid-range or high-end. That is the reason why we publish articles like this because we want to help our readers deal with charging problems they might encounter with Big G’s Pixel. In this post, I will walk you through in troubleshooting your Pixel that may not charge or won’t respond when plugged in. The step-by-step guide you can find here is safe but you know things can happen unexpectedly so proceed at your own risk. If you have other issues, make sure you drop by our Google Pixel troubleshooting page. We’ve already published troubleshooting guides for some of the most common issues with the device. There’s a chance your issue may have already been addressed so try to find problems and that are similar with yours and use the solutions we suggested. If they don’t work for you or if you need further assistance, you may contact us by filling up our Android issues questionnaire. 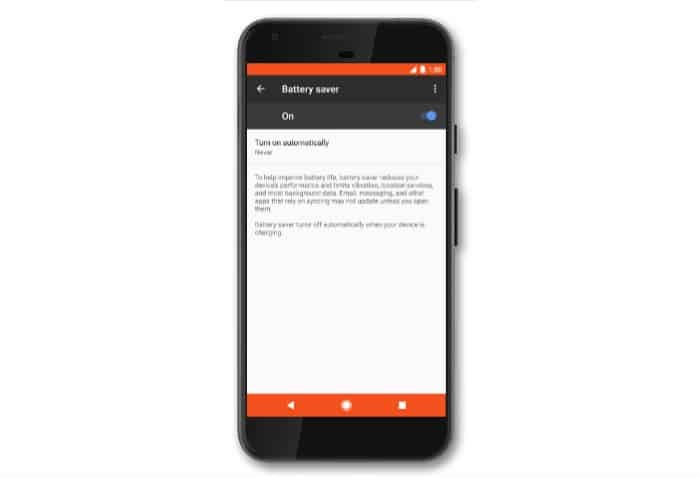 When the firmware crashes, usually the phone becomes frozen and unresponsive and since the Pixel doesn’t have a removable battery, you cannot perform the “battery pull” procedure, which is a very effective method in fixing minor firmware problems like crashes and freezing. So, you need to force reboot your phone. Just press and hold the Power key for 10 seconds and the phone should reboot provided it has enough battery left and that the problem isn’t caused by liquid or physical damage. Well, there’s only one way to find out if the problem got fixed with the forced reboot procedure. Just plug the charger to the power source and connect the cable to your phone. It may show the usual charging signs or won’t respond at all. If it’s the latter, then you must continue troubleshooting your device until you can make it to charge again. It’s possible the the connectors in your charger is blocked or corroded. So, take a look inside the port for debris, lint and corrosion. As to the debris or lint, use a pointed object to take it out but if it’s corrosion, a blast of compressed air will get rid of it. After checking the charger, plug the phone in to see if it charges this time. If still no, then the next step might help. After checking the charger and the problem still persists, you need to verify if it’s really the power adapter that has a problem or not. Connect your phone to a computer or a laptop just to find out if it responds like it usually does. If it does, then at this point, we can say the problem is with the charger because as you can see, the phone responds when plugged into an alternative power source. However, if your Google Pixel remains unresponsive even if plugged in to a computer or laptop, then it’s time to go after the USB cable you’re using. The cable is the only thing that bridges the charger and the main unit. If it’s broken or if there’s something that’s blocking the connectors from making contacts with the charger’s and the phone’s connectors, then the charging process is disrupted. Just run your fingers through from one end to another. This is to check if there’s some kind of lumps or breaks or any abnormalities. While USB cable don’t break easily, it’s possible that there’s something blocking the charging process. So inspect both ends of the cable and find debris or lint or anything that corrodes the connectors. If you can find some, clean the connectors. After cleaning the cable and verifying there’s no breaks, connect your phone to a computer again and try to hold it at a certain direction. Ift here are instances that the phone responds but connection gets lost, it means it’s a loose connection; the cable can’t make proper contact with phone’s connectors. Using a different cable will help you determine if the problem is caused by the cable or if the issue is with the phone’s Utility Port. After checking both the charger and the USB cable and the problem still persists, it’s time to check the utility port on your phone. Just check for debris, lint, bent pins and corrosion; take out debris and lint and clean out the corrosion with compressed air. There’s always a chance of loose connection but you cannot detect it with your naked eyes. You have to plug the cable in and then the charger to the power source and hold the phone at a certain angle at a time. Loose connection may be fixed by buying a new charger or cable so if you have other chargers, try them. If the problem started without apparent reason or cause, then it might be a manufacturing issue. If you want to have it replaced you have a valid claim. So, it’s better that you have it checked, call Google or just send it back to have it replaced. Mine wouldn’t charge – even tried multiple cables. I rebooted the phone. Once it was ready, I plugged in it and it began charging. Anytime my brand new Pixel would get low on battery, it warns me with the red battery and says I am getting low. I plug it in and I see the lightning bolt and think I’m good. Come back in the morning and see that my phone is dead! Tried plugging it into the computer and it does the same thing, lightning bolt, then goes black and I think it’s charging. Check again and the battery icon is just white. I took your advice, step one, just hold the power button for about 10 seconds and saw my phone boot up. While praying it would make it all the way through start up, I plugged it in as soon as it finished and there you go! It is now charging. So simple, I just wish these phones would give you simple fixes in the owners manual when you buy them. Thanks for posting this fix!